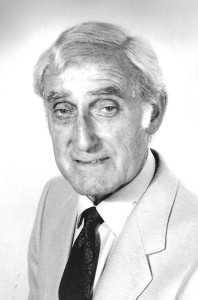 Sam Sherry was born in 1912 into a theatrical family. Although he became known to the folk world only after his retirement from the professional variety stage, his story is closely interwoven with the history of his family and their performance activities. A triple disk set includng a full biography of Sam and his family, films of routines, interviews and music is available from the EFDSS shop. In 1979 Sam Sherry was interviewed on tape by Peter Clifton and Ann-Marie Hulme. They edited the result into an autobiography which was published as S. Sherry, “Actual Step Dancing. Sam Sherry. An Autobiography“, English Dance and Song, Vol 41 No 2, (1979), 2-7. M. Hollis, A Basic Hornpipe Routine in the Lancashire Style arranged by Sam Sherry, Newcastle: Newcastle Series, (1982), 11p. Notations for six steps utilised by Mr Sherry as a beginners’ routine for many years. This and the following booklets contain the routines which Sam taught to pupils over a period of may years. C. Metherell, Sam Sherry. The Waltz Routines, Newcastle: Newcastle Series, (1990). C. Metherell, Sam Sherry. The Schottische Routine, Newcastle: Newcastle Series, (2008). C. Metherell, Sam Sherry. The Polka Routine, Newcastle: Newcastle Series, (2010). C. Metherell, Sam Sherry. The Jig Routine, Newcastle: Newcastle Series, (2010). C. Metherell, Sam Sherry. The Exhibition Routine, Newcastle: Newcastle Series, (2009). In addition Sam was an excellent tap dancer and this some of his routines feature in the film list below. In addition to these clips Sam was filmed in 1978 by Garland Films for the EFDSS. The film, which contains interviews and full coverage of his complex waltz routine, jig and exhibition routines, is available as part of Metherell, C. and Callaghan, B, Sam Sherry a Memorial Compilation, DVD set, London: EFDSS, (2007). Available from the EFDSS shop. In 1980, a film of Sam, sponsored by the Arts Council of Great Britain was produced. This was directed by John Tchalenko. For copyright reasons it has not been possible to reproduce that film. Contact Garland Films for further details. Information derived from interviews with Sam and his pupils on 7.3.1981, 16/5/1981 and 16/2/1985, the 1978 film and the films listed below. 1. Sam appearing on Pebble Mill at One, about 1978. 2. 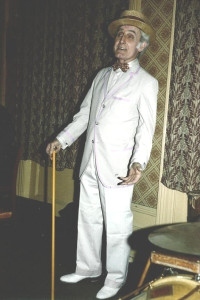 Sam dancing his waltz routine in 1980. 3. Sam Appearing on Pebble MIll at One, about 1980. 4. Sam appearing on an unknown music hall documentary, hosted by Angela Ripon. 5. 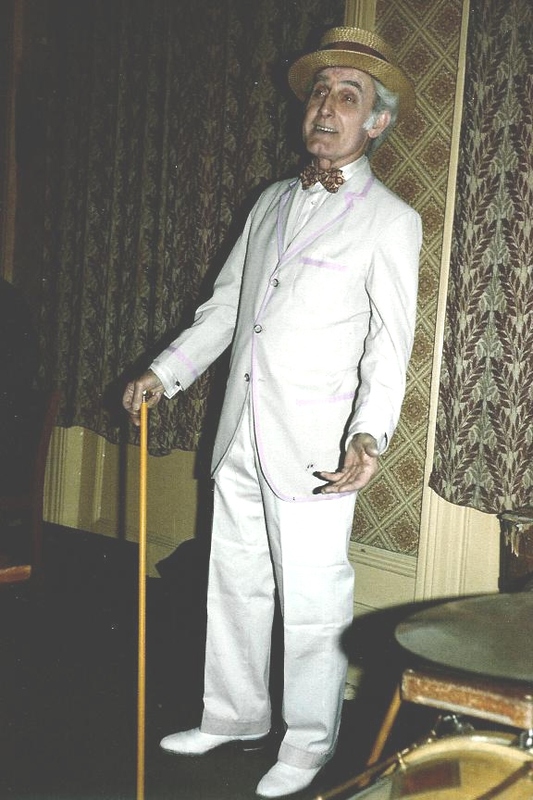 Sam performing his waltz routine, Fylde 1982. 6. Sam performing “The Entertainer”, Fylde 1982. 7. Sam performing his exhibition routine, Fylde 1982. 8. Sam performing his jig routine, Reading 1982. 9. Sam performing his exhibition routine at Leyland in 1984. 10. Sam sings Lassie from Lancashire and performs the simple waltz routine at Leyland 1985. 11. Sam performing Sam’s Song, Lancashire Wallopers Weekend, February 1986. 12. Sam performing his jig routine, Newcastle 1990. Melanie Barber dancing Sam Sherry’s Polka Routine at the Reading Day of Dance on 23rd October 1993.